Y'know, it feels awkward as hell sitting with my two co-authors, and I have made off like a bandit with my Deathwing. Comparatively, Templars seem to be getting the xenos treatment as far as marine armies are considered with their strongest Oath, Accept That Challenge, changing from Preferred Enemy Everyone to the Rage USR. Admittedly, it isn't bad, assuming one can get the charge, but with as strong as Jump Infantry and Bikes are, it seems that one's desire to play them would become less due to so many new special rules, primarily Hammer of Wrath. Furthermore, many armies suddenly have access to similar versions of powers of the Eldar variety, specifically in the Divination tree, in which your fallback power is a better version of Guide. Tau got a bit of a shaft as well, losing their extra weapon threat due to Target Locking Broadsides, or anything, but along with this, Acute Senses got stupid, and they still have to pay for Blacksun Filters in order to circumvent Night Fighting. I have the 6th edition BRB that my FLGS owner let me purchase this evening and I have been skimming through it to find some of the more interesting tid bits. Ishmael, Loki and I will be examining the BRB in various aspects of the rules and hobby sections of the book in the next few weeks as we come to be familiar with it. So far I have been trying to determine how some of the existing units will be changing to incorporate the existence of fliers, specifically which weapons have the skyfire rule and which fliers can hover. Well, thanks to my good buddy Ryan and his friends over at TG I have this piece of garbage. It may be a very well made fake or it could be genuine. If it is genuine, I will be able to mix and match any non-tyranid model I want with my Tau. Yes, indeed for some reason I can bring something from any book, but nids and my Tau will generally be okay with it. Apparently my Tau, who are historical enemies of the Orks are more likely to ally with them than sisters of battle. The sisters (formerly Witch Hunters) are now as likely to ally with the non-psychic alien Tau and the entirely psychic Eldar. There will be some very odd armies coming in about a week. 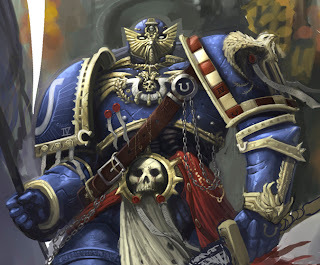 So with 6th so close to our doorsteps we can almost reach out and roll to hit against it, It's hard to think of something really to talk about regarding 40k. Almost every community site out there has rumor mills pumping out tid bitz by the trukk load, and they seem to keep coming. 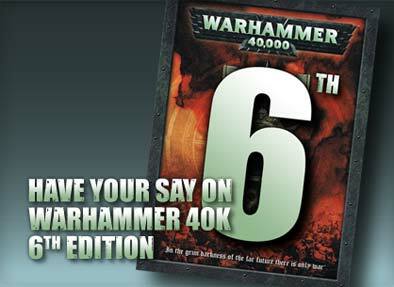 Tomorrow is the big day, so we'll soon see off 5th edition, and usher in a new rule set. 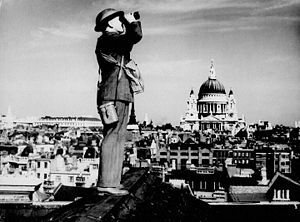 I have been playing off and on since the ending of second edition, and from this long span of playing, I have seen several changes come about from new rules. Ever since the coming of third, the game has been more or less the same since then. We saw the game take on a radically new form, and from it we have based pretty much everything we know about the game on the foundation of 3rd changes. 4th edition came up, and sculpted the rules even further. Most of the codexes were brought up to speed in that time, leaving behind a few Less than savory elves, the space pups, and the dreaded Inquisition, as well as a few others. The game took even more shape with that edition, much like 3rd, it still utilized a system which was more statistical in nature. 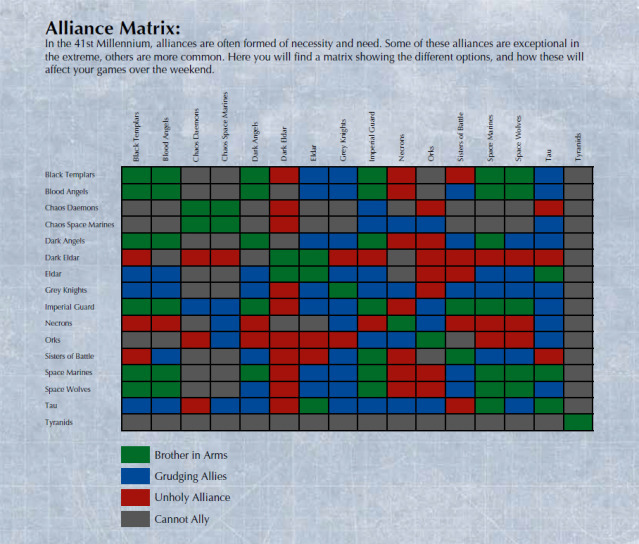 With elements like target priority, and how units viewed the battlefield in terms on line of sight, movement, etc. Just made a quick slideshow to showcase my latest model, High Marshal Helbrecht. Why? Those other codices don't know how to react. We can all say there have been some ups and downs in codices in the fifth edition of 40k, with some codices floundering within a few months while others break down the door and take children's lunch money. 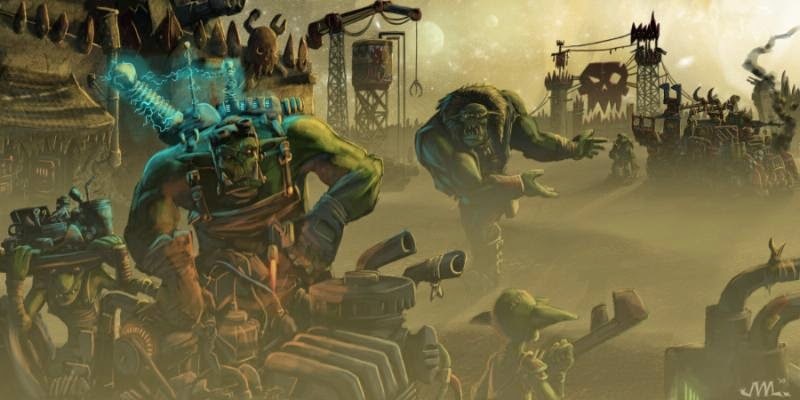 As new codices have come out each has added some new consideration to how players view what is 'good' or 'viable' in the game, from a competitive view of playing 40k. While in free play homebrew erratas are accepted, when it comes to competitive play everyone plays with the same published rules, so if we're trying to bring codices back to competitiveness we need to focus on those rules and how they effect how the game is played. I'll discuss two different tournament formats and how one influences gameplay choices. "Information, the first principle of warfare, must form the foundation of all your efforts. Know, of course, thine enemy. But in knowing him do not forget above all to know thyself. The commander who embraces this totality of battle shall win even with inferior force."